Release Date: September 30th, 2006 by Miramax Films. The Cast: Helen Mirren, Michael Sheen, James Cromwell, Helen McCrory, Alex Jennings, Roger Allam, Paul Barrett, Sylvia Syms. BASIC PREMISE: Queen Elizabeth II (Mirren) and Prime Minister Tony Blair (Sheen) struggle to maintain a good public image after the tragic death of Princess Diana. ENTERTAINMENT VALUE: It’s impossible to watch The Queen without noticing Helen Mirren’s outstanding, flawless performance as Queen Elizabeth II. The film opens as Queen Elizabeth II greets Tony Blair when he becomes Prime Minister of England. Four months later, after receiving the news of Princess Diana’s fatal car crash, the Queen shows no grief and prefers to hold a private funeral with the least amount of publicity. She doesn’t even order a flag to be lower at half-mast to show respect. Throughout the film, Tony Blair tries to convince her to have a public funeral with celebrities in attendance in order to keep the public happy and to avoid negative publicity. Meanwhile, the public starts to get worried that the Queen hasn’t given a response to the tragedy yet. Prince Philip (Cromwell) and The Queen Mother (Syms) egg her on to continue ignoring the public and media. Screenwriter Peter Morgan does an excellent job of allowing Tony Blair to gradually persuade Queen Elizabeth II without any contrived scenes. Moreover, he manages to humanize Queen Elizabeth II into a complex and intriguing character. Just to watch her and Tony Blair interacting feels fascinating. Director Stephen Frears superbly mixes real news footage from the events surrounding Princess Diana’s death. It’s also worth mentioning the beautiful costume design, set design, and make-up which gives everything an authentic feeling. Ultimately, what makes this film most riveting to watch is Helen Mirren who sinks into her role with utmost conviction and delivers one of the most powerful performances of her career. She deserves to crowned with an Oscar for Best Actress. SPIRITUAL VALUE: Other than the inevitable influence of the media and the importance of one’s public image, none is required or desired. IN A NUTSHELL: Thoroughly compelling and engaging. 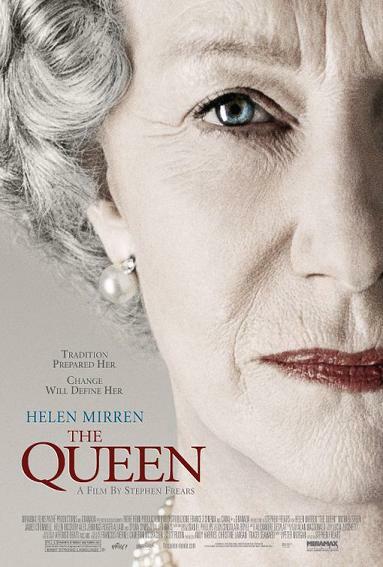 Helen Mirren delivers an unforgettable, flawless performance.